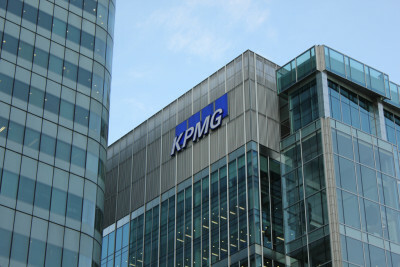 Applications are currently ongoing for the KPMG Graduate Internship Program for Graduate Nigerians. Interested students can see the details and apply if eligible. – Have a minimum of 5 credits at SSCE (or its equivalent) in one sitting (Mathematics and English inclusive). – Be currently undergoing a Master’s degree program. – Pass the KPMG Graduate Aptitude test and Essay. -Have strong communication and interpersonal skills, and an ability to work in a team. The Objective of the KPMG Internship program is to provide challenging opportunities for talented undergraduate and graduate students from local and international institutions to gain practical insights into the operational environment of KPMG as a service firm. The Program is designed to provide an enriching experience characterised by measurable on-the-job training, designed to help you succeed in your division. It is an avenue to develop leadership traits in young individuals and assist them in realising their potentials. You’ll work on client projects, develop technical skills and experience our vibrant culture. We’ll ensure you have adequate responsibilities, opportunities and support to push yourself. At KPMG, we have an inclusive culture to ensure you feel welcomed and valued. All interns are guaranteed close interactions with industry experts, learning a great deal about the firm and how we do business. We aspire to build a long term relationship between KPMG and the interns for potential full-time employment in the future. Our Interns are assigned to our Practice and non- Practice divisions based on their areas of interest and availability of these unit. They work with our seasoned experienced professionals across various units and divisions. The Undergraduate Internship program is for candidates currently pursuing a university degree. The prospective candidate must have completed at least the second year of university, but must NOT be in final year. We invite candidates from all disciplines and courses with an outstanding interim academic record and an interest in the firms service offerings, across all divisions. Competitive and attractive compensation is rewarded upon completion. This program is open to postgraduate level students across all disciplines, seeking work experience in the interim. We are looking for students within the 1st class or 2.1 degree class with an interest in the firms service offerings, across all divisions. On this program, you’ll join industry experts developing meaningful solutions for clients, giving you a great head start on your career. Competitive and attractive compensation is rewarded upon completion. This program is aimed at graduate level students, seeking an interim job, whilst awaiting NYSC deployment. We invite candidates from all disciplines, however, this program is exclusive to our Management Consulting Unit. It provides a mutual and extensive opportunity to assess candidates capability and cultural fit into the KPMG way as it may eventually be the standard entry path into a more permanent Analyst position within the firms Management Consulting Unit. Competitive and attractive compensation is rewarded upon completion. All programs run from June-September, with a minimum duration of 6 weeks (Pre-NYSC Interns may be granted extensions). Possess credit in a minimum of 5 subjects (SSCE/equivalent) including Mathematics and English in one sitting. Have equivalent of second class upper degree grade in any discipline (CGPA of 3.5/5 or 3/4 for UK and US Schools, respectively). Have completed at least the second year of the university program but must not be in final year. of 6 weeks (Pre-NYSC Interns may be granted extensions). Applications are received between December and February annually. We review applications and extend offers on a rolling basis. However, early application is encouraged. Very good work . Please I will like to know if all the documents required to put in for the KPMG internship is meant to be sent via mail to careers@ng.kpmg.com. Thanks.